All India Football Federation (AIFF) Site Hacked By Hackers Pakistan ! Pak hacker support in Pakistan re-damaged sites in India, this time at the All India Football Federation (AIFF) Mumbai. Cyber outlaws feel "ZCompany Hacking Crew", was hit late on Thursday and turned the entire home page in a message board propaganda in India and Israel, just hours before the AIFF officials contacted the Canadian company that hosts the site and blocked the offending content. "Our site was hacked today and tonight we got in touch with the Canadian company that hosts our site. They have already blocked the site and we hope to restore the Friday," AIFF general secretary Kushal Das TOI. "We try to find the people behind it (the crisis) and hope to get a report on culprits morning," said Das. This is the second attack on the AIFF site for one month after a hacker site mutilated in December Pakistani week late after a group called the Army in Pakistan Cyber hacked the website of the Central Bureau of Investigation (CBI). "This time the attackers struck early in the morning and we could block them immediately," a senior official said AIFF. He also expressed confidence that none of the information would be lost. "We've got to back up all data and, therefore, we can not recover damages." IFIA website, launched by individuals - including NRIs - Indian football sites showed popularity, had little trouble throughout. "This is their second URL (web address) and the reconstruction fourth after the first URL has been closed due to lack of proper maintenance," an informed source said. 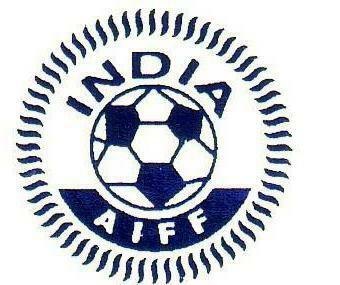 The revised website was launched by the AIFF in August 2009 coincided with the participation of India in the Nehru Cup.